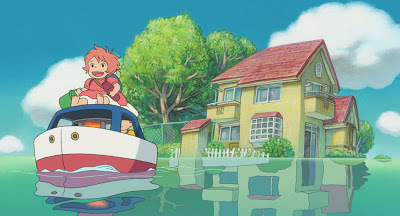 Having spent the past several years digesting the works of Hayao Miyazaki, I've found my understanding of the man continually evolve and change. 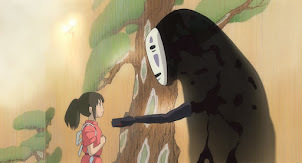 You see Spirited Away for the first time, and you get a good idea of Miyazaki's style. You then discover Mononoke and another side is revealed. You hunt down Totoro and Kiki's Delivery Service, and still another side is revealed. 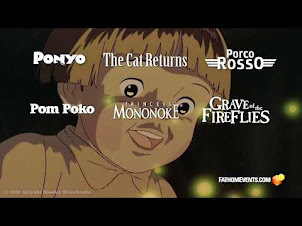 Porco Rosso and Whisper of the Heart (the latter Miyazaki wrote) force you to rethink things anew. And then you see Nausicaa, and you read his novel, and pretty much all of your assumptions are thrown out the window. You then go back rediscover all those extra layers. These stories just build upon one another, and as a foreigner I'm still trying to discipher the fragments. Two years ago, I watched The Castle of Cagliostro and felt largely left out of the loop. I enjoyed the movie, but could not quite understand why so many animation and adventure movie lovers claim it as a modern classic. Then just a few weeks ago, I bought the DVD and everything just clicked. The Kool-Aid finally kicked in. 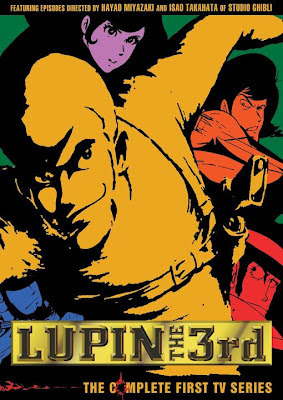 For me, it's helped tremendously that I've seen the original television series of Lupin III from the early 1970's, most episodes which were directed by Miyazaki and Isao Takahata. It also helps to have seen Panda Go Panda, 3000 Leagues in Search of Mother, Future Boy Conan, and Anne of Green Gables. 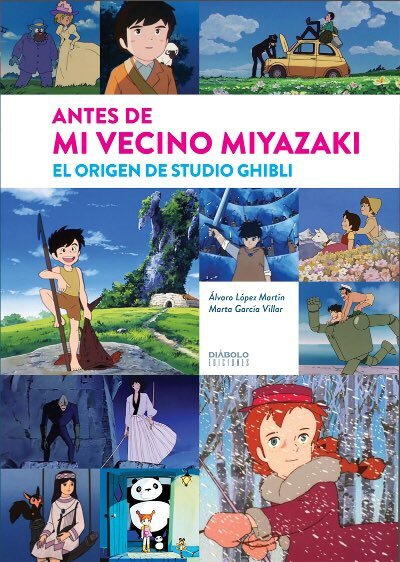 It's important because Miyazaki's style in that decade is different from the style that emerged by the time Studio Ghibli was founded. Miyazaki's serious themes, and his grappling between his idealism and cynicism, don't emerge until middle age and the arrival of Nausicaa. 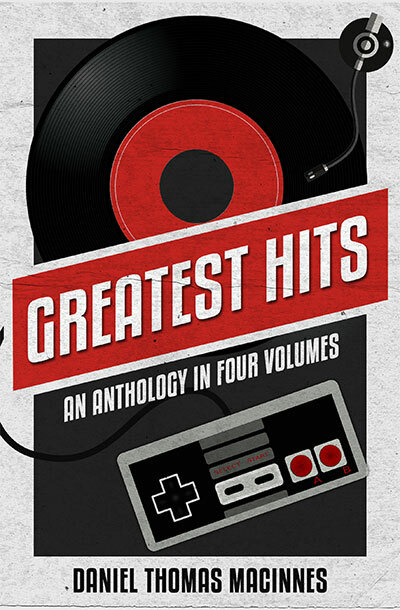 His '70s style is lighter, more freewheeling and slapstick, and more melodramatic. 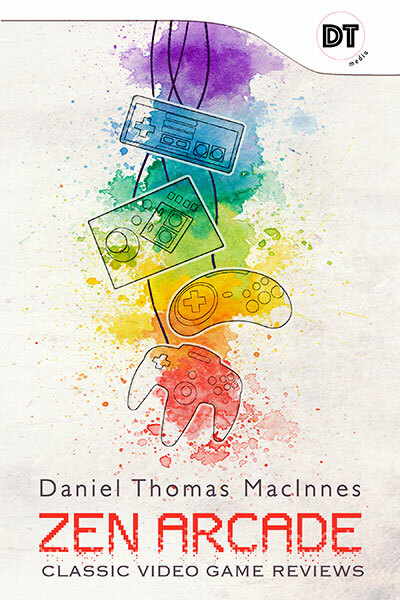 It's a bit goofier, infused with slapstick comedy and adventure serials, as well as Takahata's neorealism with the World Masterpiece Theatre productions. His drawing style is likewise looser and more cartoonish. Characters are more lumpy-headed, with sily grins, and hands are drawn squarish, blocky. It fits the lighter, boyish energy of its creator. The '70s saw Miyazaki and Takahata create brlliant art, revolutionary animation that owes far more to live cinema than the Americans ever have. 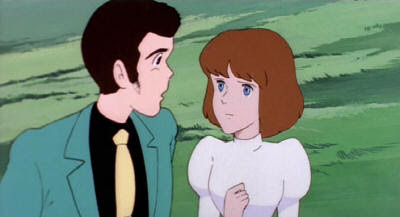 And at the end of this decade, we have Castle of Cagliostro serves as a final triumph of that era. Is it important for you to know all of this in order to fully appreciate this movie? I don't know, probably not. You will still enjoy yourself if you walk in cold without any knowledge of what filmmaker created it, or what that giant cat-thing at the beginning of Spirited Away is. What I'm doing is describing my own evolution, and I believe my own understanding is the better for it. Saying "the animation is choppy and looks old" is not a valid complaint. It's a copout. The Castle of Cagliostro is, at heart, a caper movie, packed with action scenes and screwball comedy. It's a mixture that isn't really seen, apart from the Pink Panther movies with Peter Sellers. It's difficult for a caper comedy to succeed without one side tipping over into the other, and this is probably why such movies are rare, confined to the realm of parody. Miyazaki triumphantly suggests that this genre is better suited for animation. Both action and comedy are respected, and given equal space to breathe on the screen. The plot is all setup - master thief Arsene Lupin III (voiced by longtime Lupin actor Yasuo Yamada) and his oddball cohorts travel to a postage stamp-sized country in search of legendary counterfeit bills, while a diabolical villain has locked a young women in a tower - and the movie is one long series of payoffs. There's a fantastic car chase early in Cagliostro that's nearly as thilling as the chases in Bullit and The French Connection. It's a textbook example of how to shoot an action sequence, from its kinetic motion, to the swaying movements of the camers, to the minor comic bits. 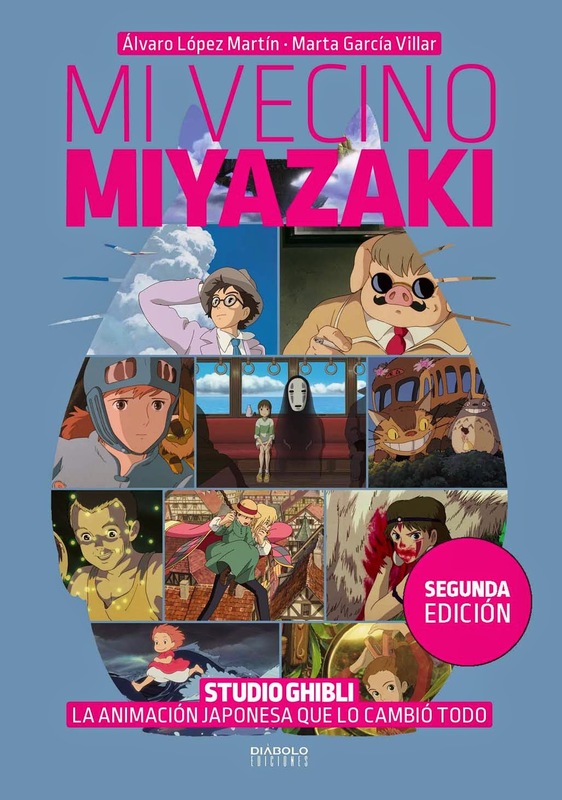 Miyazaki brings a musical rhythm to action; that and the emotional attachment to the characters are the prime reasons why he is among the greatest masters of action cinema. According to urban legend, Steven Spielberg and George Lucas are great fans, who consider Cagliostro one of the greatest adventure films ever made. I've never been able to prove this legend true, but there's a lot that reminds me of Raiders of the Lost Ark in spirit. I do know that James Cameron is a fan; a chase scene involving ninja assassins was later quoted in Terminator 2. In Japan, animators lacked the resources to mimic Disney's fluid motions, so they evolved differently, taking cues from live cinema. Cagliostro is puncuated with tightly constructed scenes, with a strong emphasis on formal composition. There are many scenes that are still, quiet. 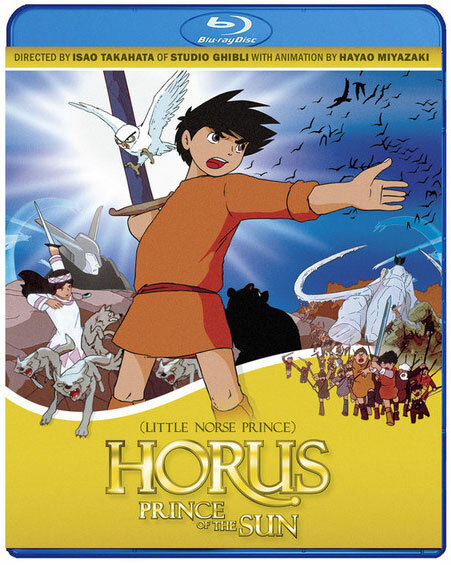 Americans mistranslate this as "choppy animation," but in the hands of a Miyazaki, this clearly isn't the case. If anything, there's an austerity to this film that gives it a certain grace. It's very much a product of its time - the memorable music sounds like a knockoff of every episode of Charlie's Angels ever made - but the sheer professionalism makes it timeless. There hasn't been an animated film quite like this, in which the animation shares the stage with the writing, the acting, and the mood. Everything is played straight, and not caricatured, even when Lupin or Zenigata (the comically obsessive, bumbling cop) are clowning around. There isn't a whole lot of the deeply personal and moody Miyazaki in Castle of Cagliostro that would later emerge during the Ghibli era, but a number of his calling cards are still visable. There's an auto-gyro that figures heavily at the climactic end of the second act. There are the "two sisters," who first gained prominence in Future Boy Conan and later became a Miyazaki staple. The "older" sister, the aggressive and seductive spy Fujiko, is a regular player from the Lupin III universe, but the "younger" sister is a new character for the film. It is voiced by a new actress named Shima Shimamoto, who takes the meek, empathic Clarisse and brings her alive. I'm still not too thrilled to see Clarisse played as so weak and helpless; I keep expecting her to take charge and show the boys who's in command. This is one of those times where the boy, Lupin, gets to save the day. Miyazaki-as-the-romantic-hero is another long-reoccuring theme. Shimamoto demonstrates a subtle range (as though something is lurking underneath the surface), and perhaps hints to where the Miyazaki Heroine will evolve. It's no small gesture that she returned to reprieve the role in the final episode of the second Lupin III TV series (written and directed by Miyazaki). Her greatest role will come five years later, when her emotional fire will make her a legend. 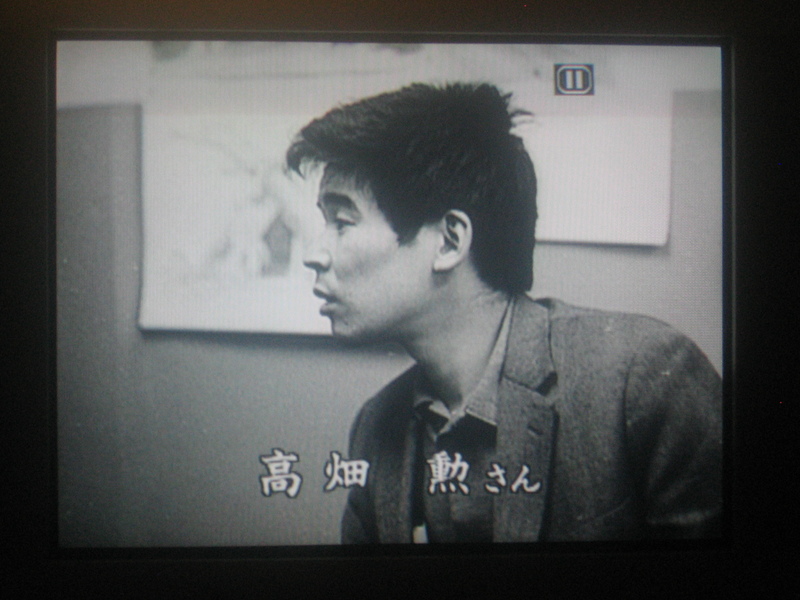 Sumi Shimamoto, the Falconetti of animation. For now, we'll just have some fun with a great little caper film. Not that there's anything wrong with that. It just may take you a little longer to get there than others. Daniel, did you know about this fan created commentary track for Cagliostro? I've heard that's it's quite informative although I haven't yet listened to it myself. YEs, I know about that commentary track and traded some emails with the person responsible. I even blogged a post about it a few years ago. 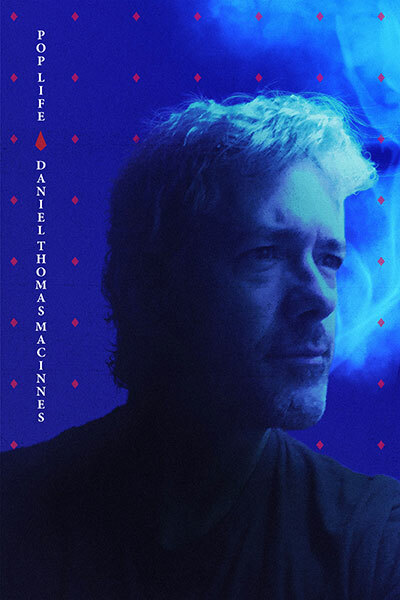 Thanks for writing and visiting!